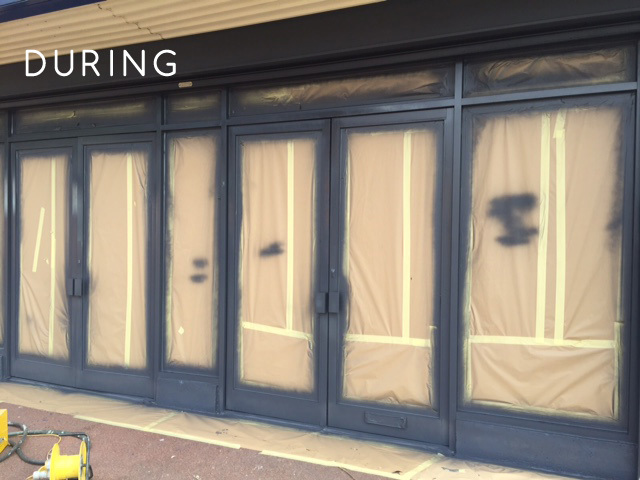 We specialise in the provision of onsite shop front spraying services to business and retail entities based throughout the UK. In addition we are also highly experienced at performing aluminium recoating. 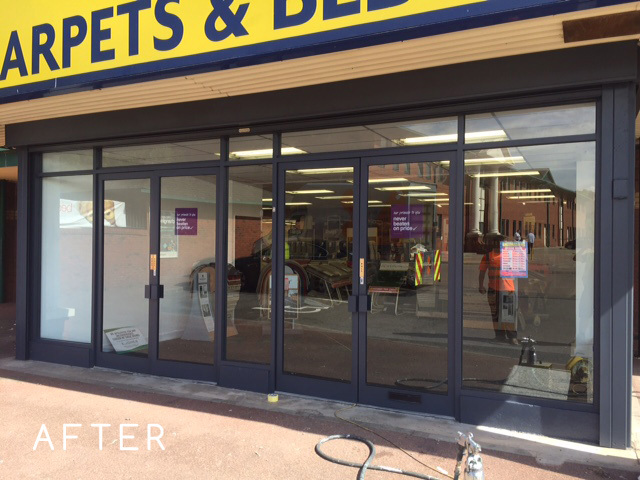 Our shop front spraying services have become exceedingly popular due to the fact that they provide businesses with a cost effective alternative to completely replacing metal shop fronts. To achieve this, each of the shop front spraying services we undertake is completed to our trademark high standards and on time. We work closely with construction companies, architects, shop fitters and shop owners or managers. We understand the need of commercial retail entities to remain open whilst work is completed. Due to this understanding we work on-site performing our spraying work outside of business hours. This approach ensures that the disruption to the shops retail activities is kept to a minimum. Our shop front spraying services include shop painting, shop front rebranding and refurbishing facades. In addition to our shop front spraying services we also provide shop painting. This service involves utilising our spraying services on the interior of a retail outlet of shop. Spraying within a retail interior provides a cost effective yet visually stunning means of revamping an interior, or changing it completely. The potential application of spray paint within an interior is surprisingly expansive, including everything from point of sale units and refrigerators, through to lifts and stairwells. Throughout a shop’s life, a rebrand is occasionally called for, whether this is to breathe new life into the brand or to signify a change in ownership. Typically a rebrand includes a change of colour. Over our years of operation we have performed a wide range of on-site shop front rebrands. Spraying provides a cost effective means of performing a rebrand quickly, whilst also providing stunning results. 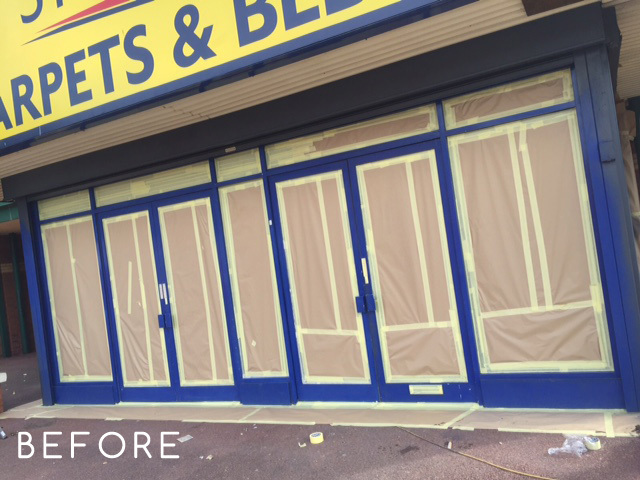 Our façade refurbishment service provides shops and retail outlets with a quick and cost effective means of maintaining and improving the exterior of the store. This process typically involves rectifying damage and deterioration caused by environmental factors such as moisture and pollutants. Once completed this process leaves the shop’s façade looking rejuvenated.